On 24 March, ONE Championship returns to Bangkok, Thailand, for ONE: IRON WILL, as the world’s greatest martial artists put on another event to remember at the Impact Arena. The card will be headlined by what could be the biggest world title match in history, as ONE Bantamweight World Champion Bibiano “The Flash” Fernandes puts his belt on the line against ONE Featherweight and Lightweight World Champion Martin “The Situ-Asian” Nguyen. 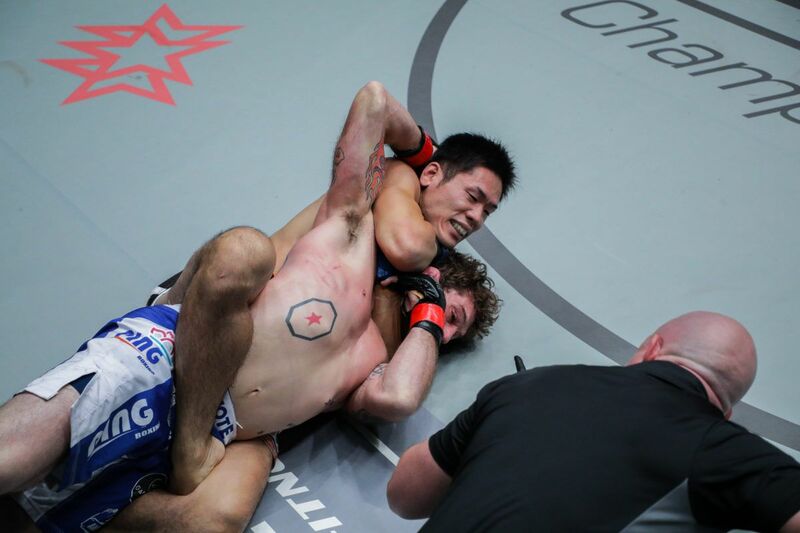 For the first-time ever in the cage, Nguyen will attempt to become a triple-division titleholder. However, he will have to take out a living legend to do it. Fernandes, who has held the ONE Bantamweight World Title since 2013, is the most dominant force to ever step into the ONE cage. The two-division Dream champion and five-time Brazilian jiu-jitsu world champion is on an incredible 13-bout win streak, and will make his eighth title defense against Nguyen. Those are just two of the many ONE records that the Brazilian great holds. Standing across from Fernandes, the immovable force, is the unstoppable object in Nguyen, who had an unforgettable 2017. The Vietnamese-Australian avenged his lone blemish last August at ONE: QUEST FOR GREATNESS by knocking out then-unbeaten titleholder Marat “Cobra” Gafurov to capture the ONE Featherweight World Championship. Then, he went up a weight class to challenge ONE Lightweight World Champion Eduard “Landslide” Folayang on his home turf of the Philippines. Nguyen won his second world title with another spectacular one-punch KO, and made history as ONE’s first-ever two-division world champion. Now, the 29-year-old is dropping down to bantamweight in an attempt to become the first-ever three-division world champion in the cage. That would surely elevate him to legendary status, and take Fernandes’ place as probably the best martial artist in the world. In a battle of exciting strikers, former ONE Strawweight World Champion Dejdamrong Sor Amnuaysirichoke returns home to Bangkok to meet Jeremy “The Jaguar” Miado. 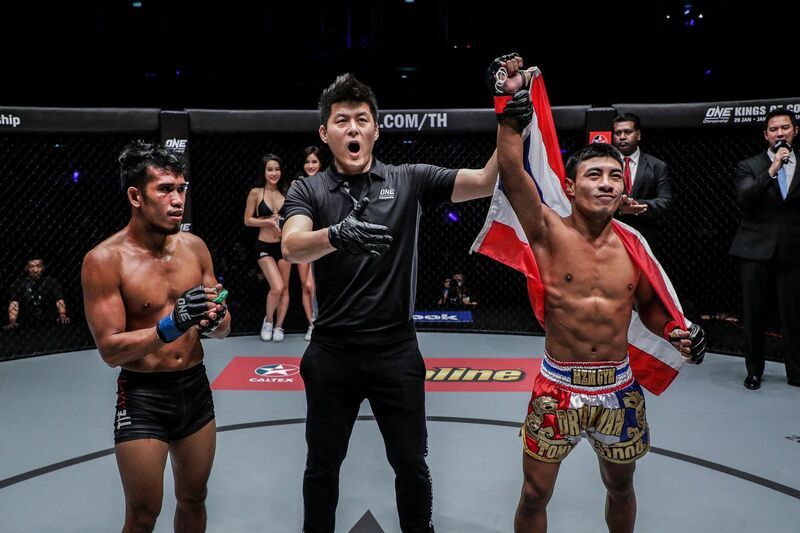 “Kru Rong,” as he is called by his students at Evolve MMA, is a multi-time Lumpinee Stadium World Champion who has masterfully transitioned almost 300 bouts of Muay Thai bout experience into the cage. Now, the feared striker wants to return to title contention with a huge win, and it would mean all the more if it came in front of his countrymen. Miado would love to spoil his homecoming, though. 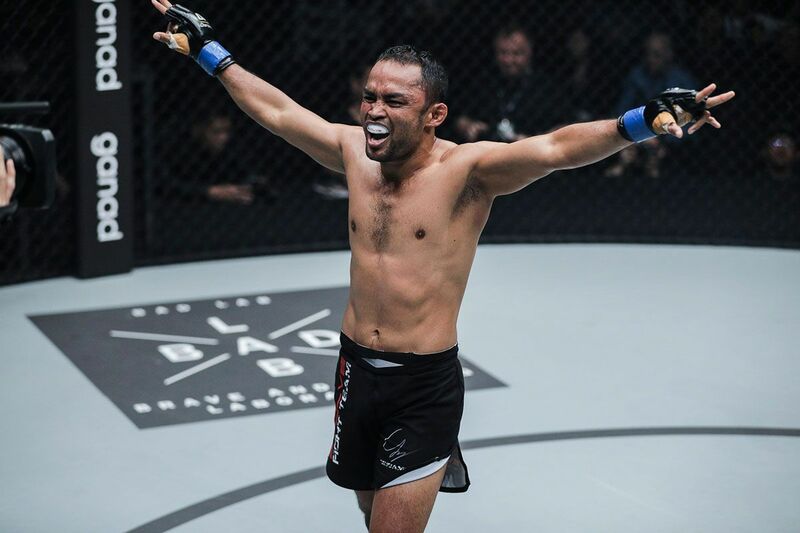 The Filipino is a Blaze FC Strawweight Champion equipped with expertise in both Muay Thai and boxing, and is determined to take out a big name in order to catapult his ONE career forward. Thailand’s favorite martial arts couple will also be flying the nation’s flag high. Local favorite Shannon “OneShin” Wiratchai meets Rahul “The Kerala Krusher” Raju, while Rika “TinyDoll” Ishige clashes with the Philippines’ Angelie Sabanal. Wiratchai has used his unique “OneShin Striking System” to shoot to stardom inside the ONE cage. Against Raju, a kung fu stylist based out of Singapore’s Juggernaut Fight Club, the 29-year-old fan favorite looks to put on another crowd-pleasing performance. As for “Tinydoll,” she will attempt to pick up where she left off. After a stellar rookie year, which saw her claim three stoppage wins, the 28-year-old Thai star expects to start 2018 on a high note. Ishige meets Sabanal, a Philippines national Muay Thai silver medallist keen on making an impact in her ONE debut. Garry “The Lion Killer” Tonon is set to make his highly-anticipated ONE debut. He will step into the cage to compete for the first time under the Global Martial Arts Rule Set opposite Richard “Notorious” Corminal. 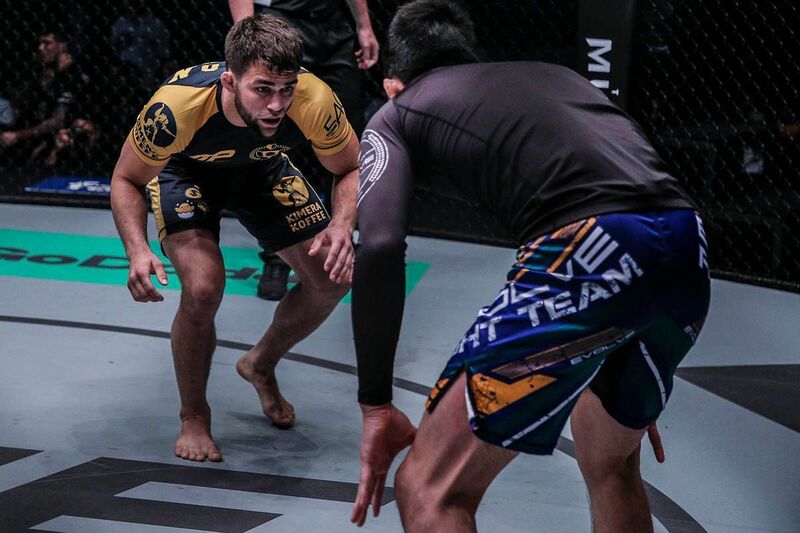 A multi-time No-Gi BJJ world champion and EBI champion, the 26-year-old American first appeared in ONE’s inaugural Grappling Super-Match last May at ONE: DYNASTY OF HEROES, where he defeated Japanese legend Shinya Aoki via heel hook. Turkish lightweight Saygid “Dagi” Guseyn Arslanaliev will look to add to his list of quick-fire wins in the ONE cage. He is scheduled to meet veteran Japanese champion Tetsuya Yamada, who recently returned to the promotion in September to defeat Kyle Rozewski. In addition, Pakistani submission grappling ace Waqar “Psycho” Umar makes his long awaited return. 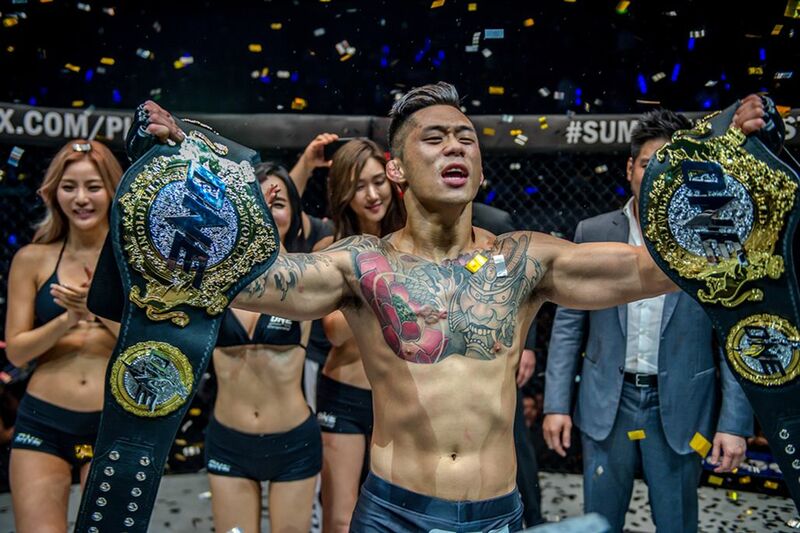 He faces off against Chinese sanda champion Zhao Zhi Kang, who made a huge impression on his promotional debut by taking out Cambodian star Thai Rithy via submission. The preliminary card at ONE: IRON WILL is just as stacked, and features four bouts showcasing a mix of international superstar stars and up-and-coming talent. Thai strawweight contender and multi-time national wrestling champion Kritsada “Dream Man” Kongsrichai will look to enhance his growing reputation in ONE with a huge win. He faces off against seasoned Filipino Robin “The Ilonggo” Catalan, who will be seeking the knockout with his Muay Thai world championship skills. Making the stakes higher for the bout is the fact that Kongsrichai’s last opponent was Robin’s brother Rabin, who fell to the Thai via TKO. In addition, four-time Muay Thai and kickboxing heavyweight world champion Alain “The Panther” Ngalani returns to action in a new weight class. The Hong Kong-based Cameroonian knockout artist will meet promotional Mongolian debutant Ariunbold Tur-Ochir in a light heavyweight bout. 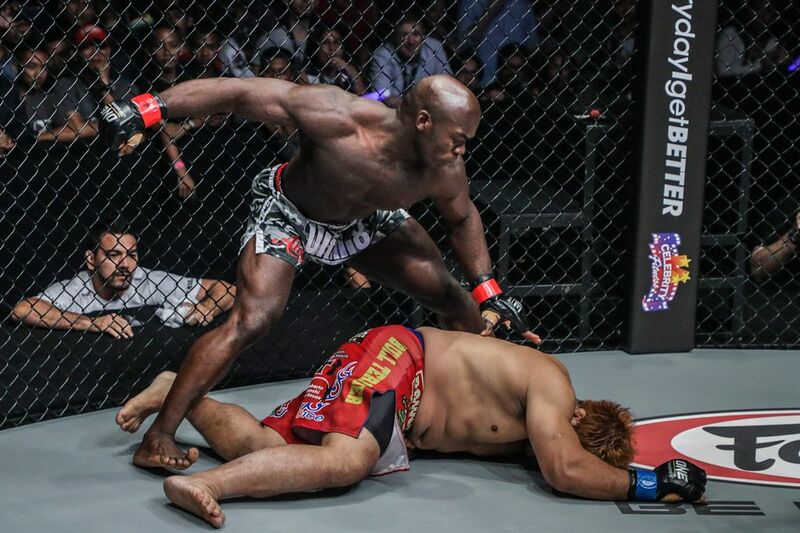 Ngalani possesses an incredibly powerful physique, explosive power, and world-class kickboxing skills. In fact, his last win in the ONE cage was a record-breaking appearance, as he knocked out former world title challenger Hideki Sekine in just 11 seconds – the fastest KO in ONE heavyweight history. Mongolian MGL-1 Light Heavyweight Champion Ariunbold Tur Ochir arrives in the promotion with a 4-1 record and an extensive combat sports background. The 28-year-old Kyokushin karate black belt is a national champion in the discipline, in addition to a national title in combat sambo. Following a break from competition, NCAA Division I All-American Jake Butler will make his return to the middleweight division. Now training out of AKA Thailand, the wrestler squares off against Brazil’s Gilberto “Giba” Galvão. 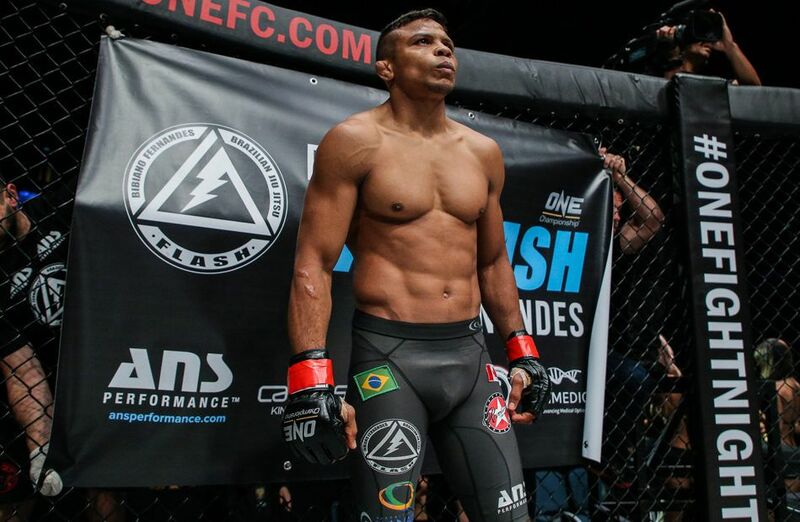 The Brazilian is a seasoned submission specialist who will attempt to get his 30th professional win. To open the night’s proceedings, Filipino Kaji “Alpha” Ebin puts his kickboxing skills to the test when he makes his promotional bantamweight debut against Indonesian martial arts veteran “The Terminator” Sunoto, who has a reputation for spectacular finishes. Previous articleWho could we face in the Europa League last eight?